From the British Embassy in Spain today comes the following exciting news. The leader of an association representing owners of illegal homes in Andalucia has been appointed an honorary Member of the Most Excellent Order of the British Empire (MBE), for services to the British community in Spain. The award to Mrs Maura Hillen, an Irish national, reflects her work as President and spokesperson of Abusos Urbanisticos Almanzora No! 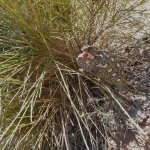 (AUAN), which campaigns for the legalisation of homes in the Almanzora Valley, where thousands of properties – mostly British owned – have lacked a final habitation certificate since they were built some 10 to 15 years ago. Under Maura Hillen’s leadership, AUAN – which in English translates to ‘No to Urban Planning Abuse in Almanzora’ – lobbies the Spanish authorities at local, regional and national level for the legalisation of homes, to get them properly connected to water and electricity, with mitigation of the costs of doing so, and information and support for affected home owners. AUAN has some 500 members, mostly British but also Belgian and Irish nationals. “Since 2008, Maura Hillen MBE has made a tireless contribution towards resolving the property problems that affect thousands of British homeowners in Spain. I am very pleased that Her Majesty The Queen has approved this honour, which recognises her dedication and resilience. “Under her leadership, AUAN is a professionally-run, well-respected organisation that has secured expert legal advice and in turn proposed realistic solutions to the Spanish regional and national authorities. “In March last year, the Criminal Code was modified following proposals from AUAN that judges take into account that most owners purchased in good faith, and that compensation should be paid prior to any demolition. That was a significant step forward in reforming a legal system that AUAN argued had failed adequately to recognise the rights of homeowners or compensate for their losses. “I am very pleased and delighted to accept this award not only for myself but on behalf of every member of AUAN who has also played no small part in defending the rights of homeowners in Spain, most especially committee members, past and present, and those that came before me as president of AUAN. 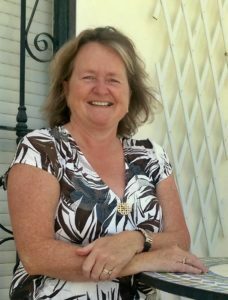 Mrs Hillen is also Councillor for Tourism & International Relations in Albox, Almeria, and a deputy mayor. This entry was posted in Blog and tagged albox, auan, corruption, illegal builds, maura hillen, mbe, urban corruption by David. Bookmark the permalink. Have you stated that Homes in Spain owed out right and (not illegal) by the British will be taken by the Spanish government since Brexit how true is this? I’ve owed my home for over 14 years and it’s fully legal.